Inspect twice a year. 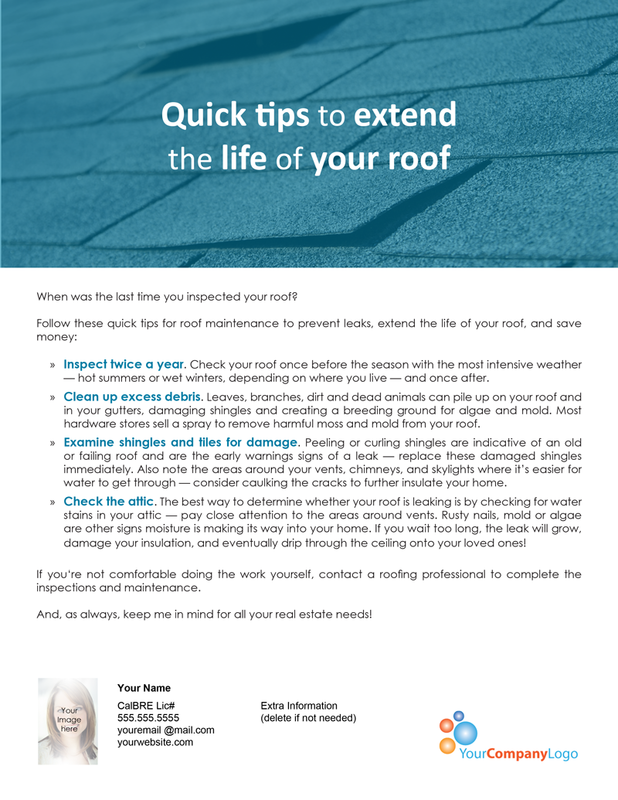 Check your roof once before the season with the most intensive weather — hot summers or wet winters, depending on where you live — and once after. Clean up excess debris. Leaves, branches, dirt and dead animals can pile up on your roof and in your gutters, damaging shingles and creating a breeding ground for algae and mold. Most hardware stores sell a spray to remove harmful moss and mold from your roof. Examine shingles and tiles for damage. Peeling or curling shingles are indicative of an old or failing roof and are the early warnings signs of a leak — replace these damaged shingles immediately. Also note the areas around your vents, chimneys, and skylights where it’s easier for water to get through — consider caulking the cracks to further insulate your home. Check the attic. The best way to determine whether your roof is leaking is by checking for water stains in your attic — pay close attention to the areas around vents. Rusty nails, mold or algae are other signs moisture is making its way into your home. If you wait too long, the leak will grow, damage your insulation, and eventually drip through the ceiling onto your loved ones! 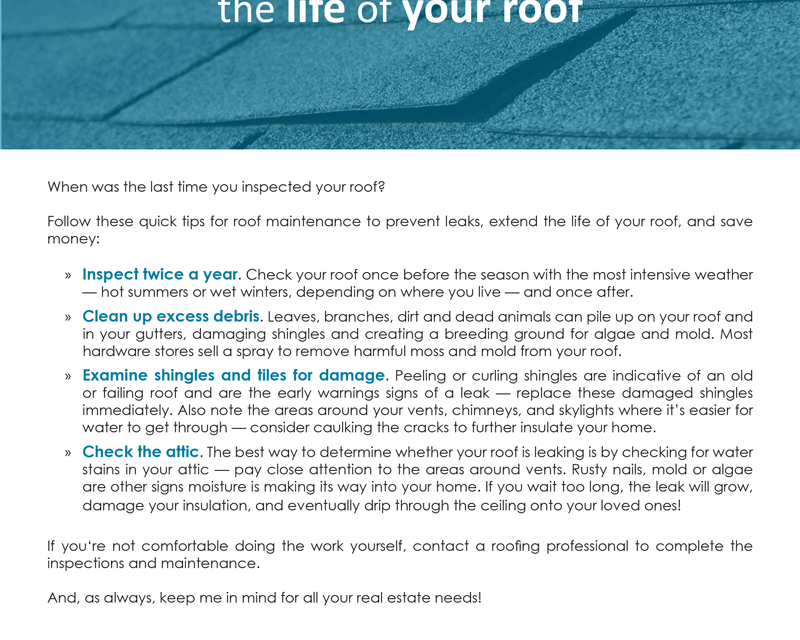 If you‘re not comfortable doing the work yourself, contact a roofing professional to complete the inspections and maintenance. And, as always, keep me in mind for all your real estate needs! 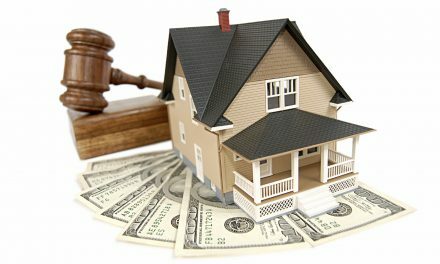 PreviousPOLL: Will income inequality lead to falling real estate prices? 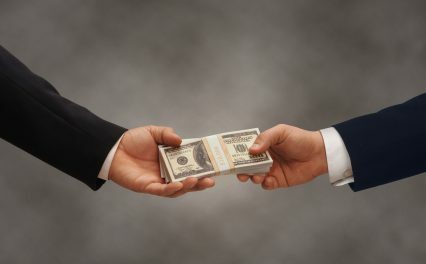 Does a low opening bid set in error allow a lender to void a trustee’s sale?